Through the Accountable Care Organizational Model (ACO), the core concept is to improve the quality of care for individuals with the notion to reduce health care spending. According to the CDC, chronic diseases cause 7 in 10 deaths each year in the United States, about 133 million Americans—nearly 1 in 2 adults—live with at least one chronic illness, and more than 75% of health care costs are due to chronic conditions. In 2009, the five leading causes of death were heart disease, cancer, chronic lower respiratory diseases, stroke, and accidents. By moving points of care into the community, individuals can maintain their independence with continuous support supplied by remote patient monitoring. By transmitting personal biometics via advanced data services, patients have the opportunity to have their chronic condition managed continuously by health professionals. With constant monitoring it is possible to identify high risk patients quickly and provide them with evidenced –based information they need to quickly resolve their condition. Instead of identifying health care risk at the critical point, telehealth can identify a situation before it progresses to the critical stage requiring potential hospitalization. To help decrease health care costs, by identifying a potential risk early on, intervention can occur before a critical situation arises. Not only does this assist with decreasing costs, more importantly it allows individuals to be managed at home. 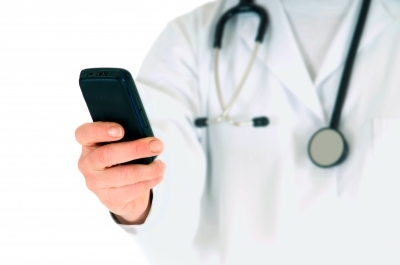 I recently had a casual conversation with a physician about this topic on remote patient monitoring and mobile devices, health care costs and hospital re-admissions, etc., and he said that he would love to be able to implement remote monitoring for his patients so he can readily monitor them, but he willingly admitted that he really does not know anything about it. As I wrote in my article published in HIMSS, this technology already exists, and it does not need to be developed. The problem is that this technology has been slow to adopt, but more than that, the forward thinking stakeholders involved in the deployment of this technology need the push and pull of not only industry insiders but the biggest stakeholders of all, the patient. The health care industry needs to not only understand the value of telehealth, but it needs to implement it. We would love for you to share your insightful thoughts and comments. Are you aware of the type of telehealth platforms which are available to help transform health care? What suggestions do you have to help take telehealth products to market? I agree fully with Barbara’s comment that patients can play a huge role in the adoption and deployments of telehealth technologies. In fact, many of the clinicians we work with at SBR Health report that their patients are asking if they can Skype with them, and several of these clinicians are actively Skyping with their patients today. This is why we support Skype as a video teleconferencing platform for virtual patient consults. It’s not the best platform but it is one the patient has ready access to and is comfortable using. So, instead of trying to push alternate technologies, we are making it possible to utilize Skype and other free televideo platforms in a secure, controlled clinical setting. Beyond the patient, the other main factor we see holding back the adoption of telehealth technologies like televideo are the interfaces, workflow, and existing IT systems integration. All of these are problems we have tackled and once clinicians see a push-button simple system that fits with THEIR workflow, then they start wanting these technologies and begin to request them from their operational departments. So then the issue really isn’t about health providers adopting telehealth technologies, it is more of an issue of electing to enhance their existing workflows to increase efficiencies and outcomes.